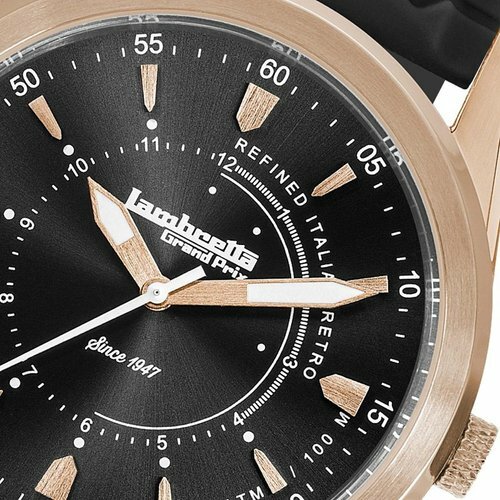 The Lambretta Cesare 42 Leather Men's Watch. A tribute to the explorer and legend Dr. Cesare Battaglini who traveled all around the world on a Lambretta scooter. A modern interpretation of a classic 50's gents' watch with a slim elegant shape and a distinct index. The simplistic two hand movement with no second hand adds to the clean and stylish look. 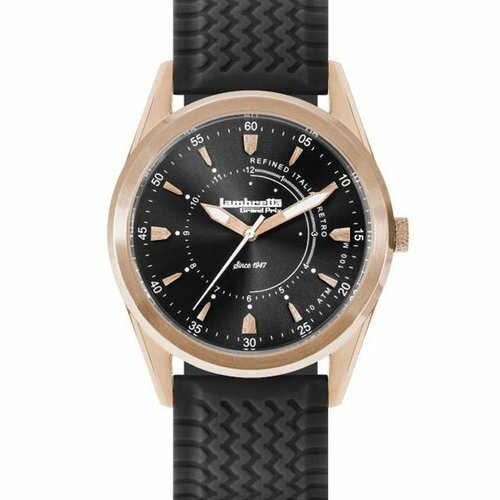 The Lambretta Cesare 42 Leather Men's Watch has a vintage leather strap - with smart quick-release pins for easy strap exchange. Lambretta Watches are unique and stylish watches for every occasion, mood and time. Communicating attitude with show stopping appeal. Designed with a love for Italian fashion and modern fashion accessories with a retro twist. An in-house design team in Europe develops premium watch collections for Men and Women. Elegant and stunning, fun and chic, stylish and sporty design can all be found within each watch collection. Lambretta Watches are created to meet the needs of a modern and refined consumer with a love for classic design.